Part of Gordon and MacPhail's distillery label series. This has been matured in a refill sherry cask and is a classic robust Highland malt. Nose Dense and concentrated aromas of cigar box, dried fruits, roasted nuts and subtle smoke. Palate Thick and full bodied with a nice smoky hit balanced nicely by spiced fruits, chocolate, meaty sherried notes and tobacco flavours. A full flavoured and slightly peaty (smoky) single malt that is very much in the old Highland sty.. 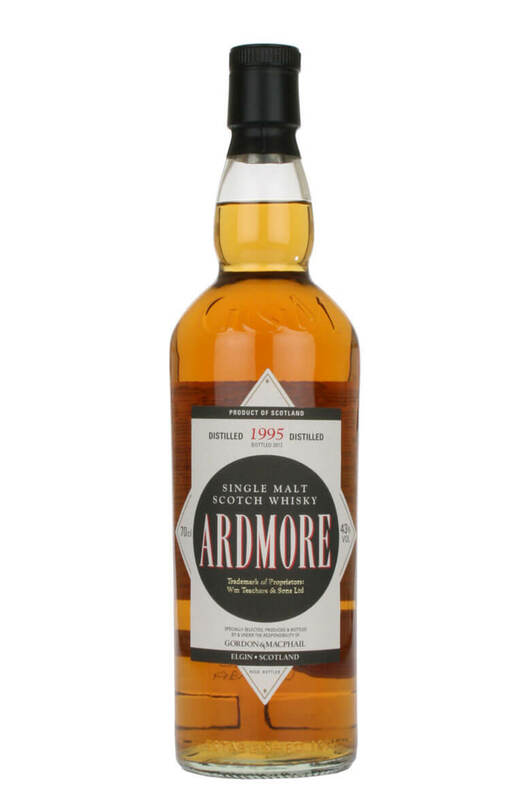 The replacement to the Ardmore Traditional Cask, this does not carry an age statement and is compris..